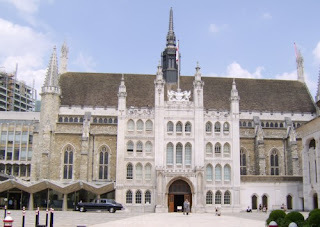 The Guildhall in the City of London is a very big and imposing building. 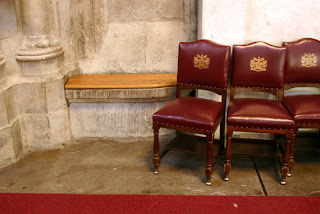 It has the feel of a cathedral (having been built around the same time as many of them) and for that reason events there can sometimes be a bit stuffy and pompous. Tonight was different. Nearly 250 graduating students from Career Academies around the country, their parents and business supporters packed the Great Hall to its 750 person capacity. Everyone whooped and clapped as each school went to receive their certificates. The jazz band from Queens Park school in Brent entertained everyone superbly (including Brent’s mayor, who, for reasons known only to herself, decided it was entirely appropriate to interrupt the evening’s proceedings by climbing on to the stage in the middle of the performance to have her photograph taken with the band.) The two young MCs for the event introduced the speakers and read out the names of the graduands with style and aplomb. It was all rather good. The evening wasn’t without its pressures. Five minutes before we were due to start, a fuse blew and all the electrics for the right hand side of the hall, including lights, video projectors and so on failed. Luckily, someone was able to trip the switch back – or maybe they spent the rest of the evening holding two sparking wires together – I guess I’ll never know. Our video, lovingly put together to launch the evening, failed to play and the audience was faced with silence, a few still images and then the windows desktop as the technicians had their own not so private panic. But all the certificates were in the right order and everyone went home with the right one. The video finally got played at the end of the event. The ensuing reception in the art gallery was wonderful with loads of proud parents taking photographs of their teenage children, despite being asked not to do so by worried security people. (Photography is forbidden in the gallery). The Career Academy staff team coped with each small (and not so small) crisis with smiles on their faces – even if they were seething underneath the facade. It does feel a bit cheesy to write it, but I do feel quite proud to be part of such an excellent team. The evening just proved again that the Career Academy programme really is something special. And, along with all the other parents in the audience, was my Mum. Which was lovely.